"LaVera Party Center did an amazing job at our wedding on July 29, 2016, we could not have asked for better service. Anthony and his entire staff were accommodating, friendly, hard working and all around displayed great coustomer service. During the reception servers frequently made sure that we had everything that we needed and reminded us to come and see the displayed food before guests got to it. The Italian style food was nothing short of amazing and we received an abundance amount of compliments from our guests. My husband and I would recommend LaVera for any type of event, especially if you want a gorgeous venue and good food." "I would recommend LaVera to everyone. Anthony is the best. The food was excellent. We received so many compliments on the food and the decorations! My husband and I had a wonderful reception!!!!" "Carl, Anthony, & Mary, Thank you so much for everything you guys did for us. You truly allowed us to be a guest at your own reception. Impeccable food and service!" "Anthony & Carl, Thank you so much for making my son's wedding reception a beautiful event! The food was exceptional, Maria's cake was delicious, and the staff was attentive. I received so many compliments from so many people." "Anthony & Staff... Thank you so much for making our wedding reception spectacular! Your attention to detail and effort to make sure everyone was enjoying themselves went above and beyond. The food was AMAZING (our guests are still talking about it!). We are so glad that we chose La-Vera for our wedding." "Anthony, We just wanted to say a HUGE thank you from the bottom of our hearts! Your family and staff made our wedding everything we could have imagined and more! The food was fabulous, you made us feel like family, and couldn't have imagined going any place else." "I cannot say enough nice things about working with LaVera! Anthony (the person we interfaced with the most) was absolutely wonderful! When you are planning a wedding things can get pretty stressful especially if you have never helped plan before. Anthony helped me put together a lot of loose ends giving recommendations of other vendors he knew were great and helped us coordinate our day. The flexibility of the staff was outstanding; we were able to arrange our reception exactly the way we wanted it without having any push back about what was "traditional," if we wanted our dance right when we got there followed by a cake cutting that was fine, if we wanted to wait an hour after we got there that was fine too. Now down to the important stuff... The food! Our wedding guests are still raving about the wonderful assortment of food that we chose for our event. We planned our wedding with LaVera from out of town so we didn't have the ability to try to food before the reception. A little nerve wracking except for their wonderful reputation! The apps, main meal, and dessert spread were beautifully arranged (we did the buffets), and equally delicious. 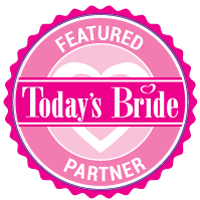 I wholeheartedly recommend LaVera to anyone planning their wedding or any event for that matter!" "Anthony and his staff are amazing! They made planning our wedding reception so easy, gave suggestions and kept in contact for over a year and a half! I received so many compliments about how beautiful everything was and how great the food tasted! Anthony was present and made himself available during our entire six hour reception. They took our vision and made it better than expected! Perfect venue for ANY couple!" "Anthony We wanted to thank you and your family for making our reception wonderful! Love to you and your family." "Anthony & Carl, thank you for going above & beyond for our wedding reception. Everything was amazing. We couldn’t think of anywhere else to have gone." "Anthony, Matt and I can't thank you enough for making our day perfect! I couldn't have asked for better food or service if I tried. You truly made me feel like family." "Dear Carl & Anthony… Connie and I would like to thank you for all the wonderful things you have done for use. We have had more compliments then you can imagine on the food, service, and atmosphere. We truly feel very fortunate to have chosen La-Vera for our reception!" "Anthony…Wow! We can’t thank you enough for the exceptional service and food. We got so many compliments on our choice of venue. We didn’t have to do anything, from running our rehearsal to putting out the rose petals on the tables. Thank you for everything."